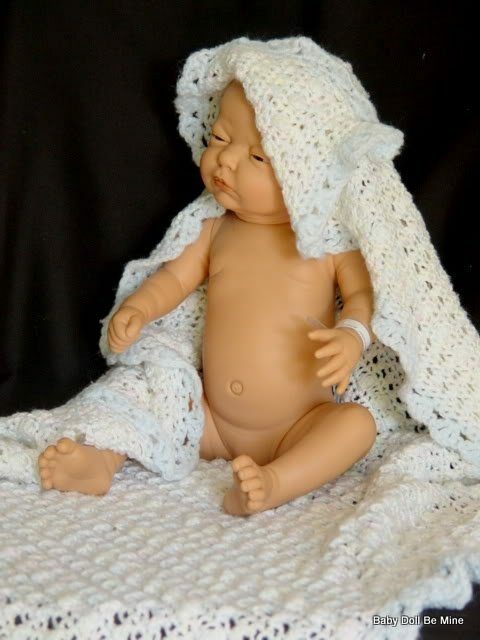 This realistic little baby is a Caucasian Newborn made by the Diana Collection. She is 21 inches tall and has an all vinyl sexed body that is jointed at the neck, arms, and legs. 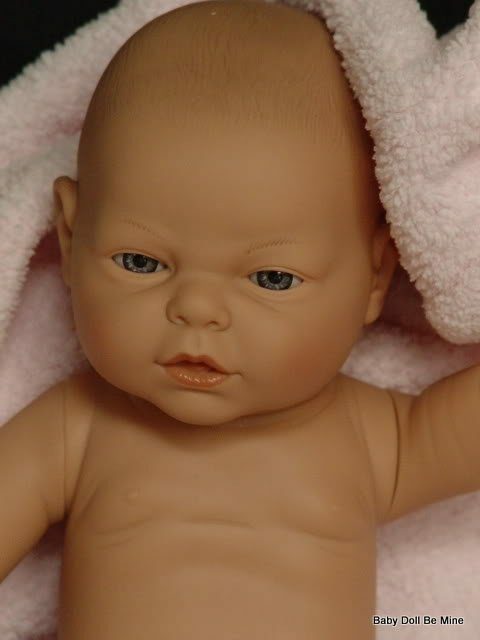 This baby has blue eyes and molded and painted hair. 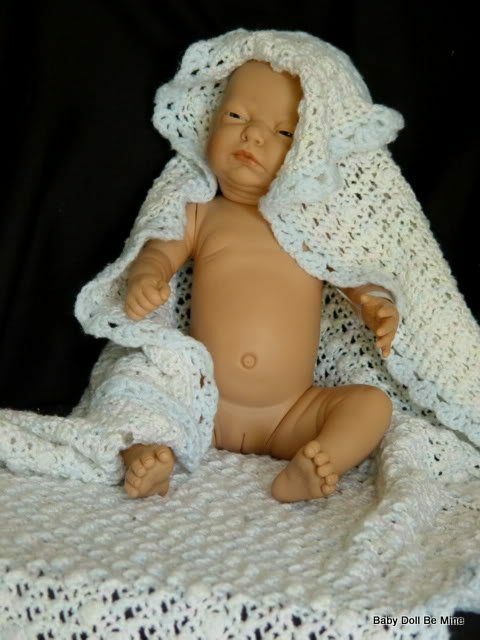 She is an anatomically correct real baby girl. 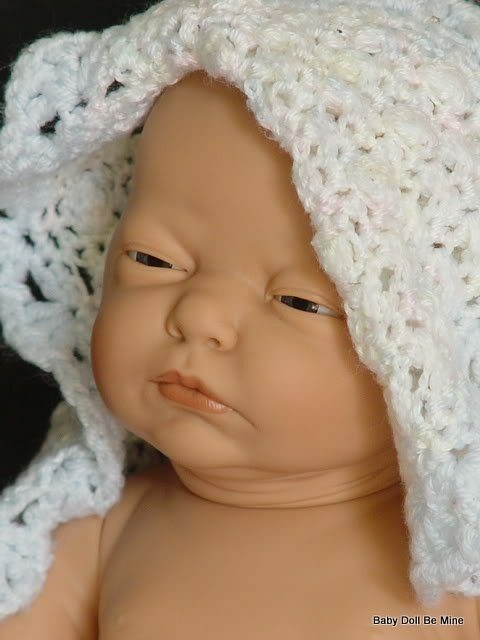 A really nice thing about this doll is that she was made in Spain. 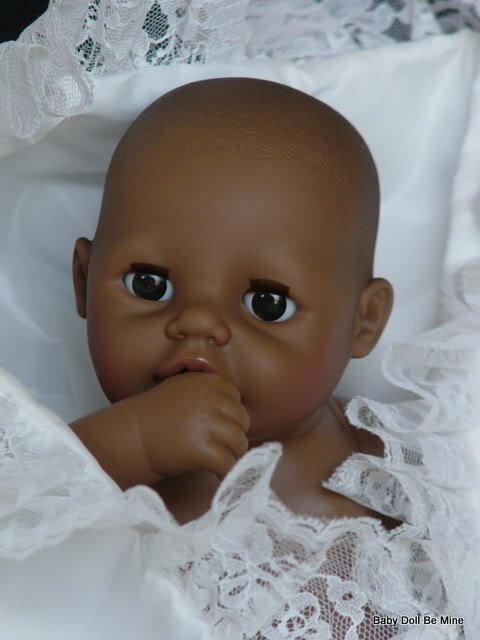 She comes to you new in her box with her velcro diaper, birth certificate, and hospital bracelet. 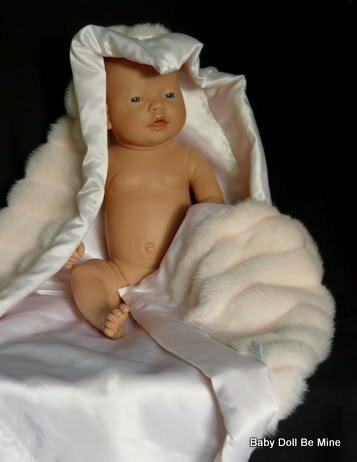 The blanket is a prop only and is not included in this listing.